I admit I was bewildered when I read that someone had shot his neighbor’s Great Dane because the dog was being aggressive. As the owner of a Dane, I know how gentle (and cowardly) they typically are. But I also acknowledge that any dog can be vicious under certain circumstances. The owner of the Dane was using an electric fence to keep it corralled. Electric fences can be effective, but not always, and when the electricity goes out, as it did on the Saturday when the shooting happened, they obviously aren’t effective at all. Everyone who lives in Hillsboro knows how often loose dogs run through the neighborhoods. When owners fail to properly confine or leash their dogs it’s a disservice both to the dog and to other residents, who might feel compelled to react to whatever degree they feel is necessary to protect themselves or their property, or to just abate the nuisance of a stray dog running around. Leashes are good. The biggest overreaction by a government body that I have seen in a while was city council’s unanimous vote last week to place a moratorium on collecting the city lodging tax (or “fee,” depending on who’s defining it). Did this sudden need for a moratorium come about because the city received a notice from a state or federal agency that the tax was illegal or inappropriate? No. 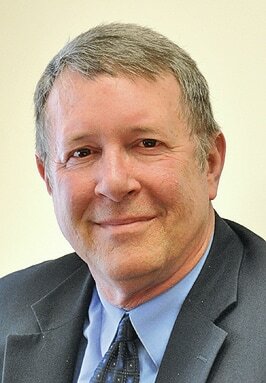 Council voted for the moratorium because – as Law Director Fred Beery put it – there was a “passing comment in an auditor’s opinion” during the audit of an entirely separate entity, the Highland County Convention and Visitors Bureau, which has a small budget that is partly dependent on a portion of local lodging taxes. Fred is the city’s legal advisor, and his opinion has consistently been that what he defines as a lodging “fee” is perfectly legal, even if the county imposed a similar tax earlier. Whether he’s right or wrong, his opinion is the one the city is supposed to follow until it is notified by a higher authority that it’s wrong. Plus, a state audit was conducted of the city itself in January, with absolutely no mention whatsoever of any impropriety in regard to the city’s collection of the lodging fee. “No mention at all,” Gary Lewis, the city auditor, confirmed for me Monday. Of course, what’s really going on is the continuation of the attack on the Convention and Visitors Bureau, its director, Bob Lambert, and by default Bob’s friend, Mayor Drew Hastings, by their publicly declared enemies. The audit of the bureau was very likely conducted in the first place because of complaints from the usual sources. Whether asking a state agency to investigate the mayor’s residency or hoping a state auditor will come down on the Convention and Visitors Bureau, the strategy seems to be to get the state to intervene and do what voters or local governments decline to do. That’s to be expected. What is disappointing is when city council fails to recognize the matter for what it is and succumbs to the pressure to join the politically-motivated game playing. The city collects about $30,000 a year on the lodging fee, paid by out-of-towners who stay in one of the three local motels. That’s about $2,500 a month. Even if the city’s position was found to be wrong and it was ordered to repay past collections, collecting another month totaling only $2,500 while the law director seeks further clarification was hardly an amount of money worth the drastic action of enacting an immediate moratorium. To be clear, there was no mention of the issue in the audit that matters – the one that was done on the city itself – no opinion or direct notice from the state to the city that it’s doing anything wrong, and very little money involved. The city lodging tax is a pretty irrelevent issue overall, but bullying shouldn’t be rewarded even on small matters. The moratorium may have earned council a temporary pat on the head, but it was about as necessary as demanding a fork for your soup. Which will at least leave you with a bowl full of soup. Finally, the Golden State Warriors currently lead the NBA Finals three games to two over the Cleveland Cavaliers. Regular readers know my lifelong love of pro basketball, even if much of southern Ohio remains oblivious to its charms. To date these Finals are the top-rated of any since ABC began broadcasting them a decade ago. By comparison, the 2014 World Series averaged 13.8 million viewers, even while going seven games. Through its first four games, the NBA Finals were averaging 18.9 million viewers (none from southern Ohio, based on most of my acquaintances). The league has come a long way from its nadir in the late 1970s and early 1980s when viewership for the Finals was so poor that CBS showed them on tape delay at 11:30 at night. Then came Bird, Magic and later, Michael, along with a marketing wizard named David Stern as commissioner, and the NBA has mostly thrived. Can the Cavs win Tuesday in Cleveland and force a Game 7? Yes. Will they? Who knows. But the effort and determination by this depleted squad, led by LeBron James, has been remarkable to watch, whatever happens.